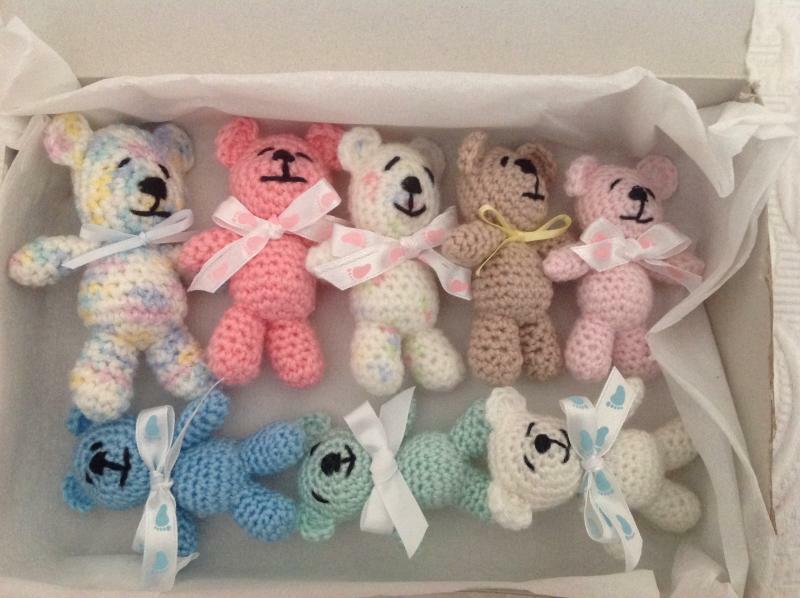 I am looking for Aussie crocheters or knitters who would be prepared to make some tiny teddies for babies born sleeping (still born) from 24 weeks onwards. I answered a request on Facebook for someone to crochet tiny teddies for Last Cuddles Project. They are used by photographers who donate their time 24/7 to take photos of still born babies cuddling a tiny teddy. I have never seen a photo of my teddies but I am told they are so grateful for them and appreciated by the parents at such a difficult time. I have two crochet patterns for the teddies and a knitted link to one. So if you can help I know they would be greatly appreciated. The little bears can go to different hospitals in Australia but must go via me first and I will contact Emma at Last Cuddles to see where they are needed and then can be sent off otherwise they can be sent to me and I will follow up for you. See pictures of some I have done. Contact me if you would like a pattern and support this great cause.